Managed to get a couple more Silos anchored at the POS tonight. Sent Con Del to fetch a second Harvester to feed the silos. Reactor is online. OK then should have some production going soon… If I can figure out why the control systems are not actually letting me set up the links between the structures. This production stuff is a pain to a miner like me as it is without things going haywire on me. I could just mine the moon for raw materials but the value of such raw materials is too low to be profitable. So what does it hurt to set up some automated reactors to process the raw materials into something more profitable? It hurt my head because the machinery refuses to function. I am ready to send a subspace comm to the scam artist that sold me this defective junk. After a bumpy ride through the wormholes managed to find a route from 5-0 to the low sec system of Eifer in the Hiemater region. The gate to Empire space was camped by an Amarrian Apoc battleship piloted by a capsuleer bent on smashing anything that invaded “his system”. 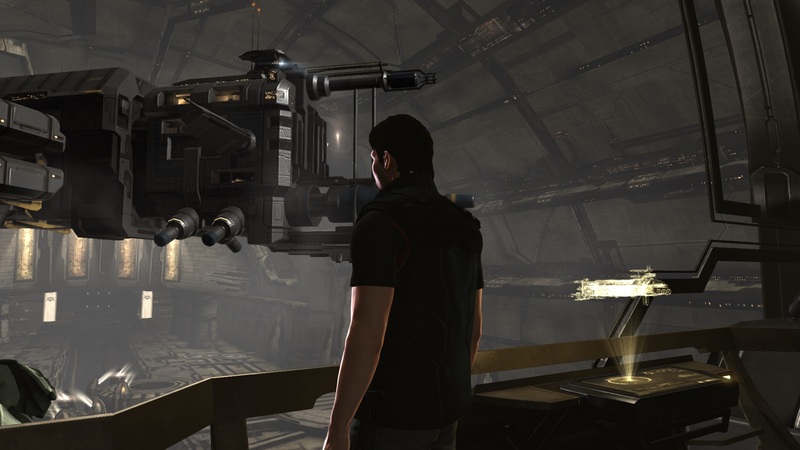 Thankfully I am an experienced cloaky pilot and was able to slip past him into Empire Space. 2 jumps later I was in Hek solar system where I was able to acquire some much needed skill packages to download into my implants. Most notably was the Clone Vat Operation skill set that will allow my to operate the Clone Vat installation I had installed in the Rorqual capital industrial ship back in 5-0. a mad dash back through the holes to home base in 5-0 and last minute checks of the Clone Vat assembly to make sure the techs at the station installed it correctly. 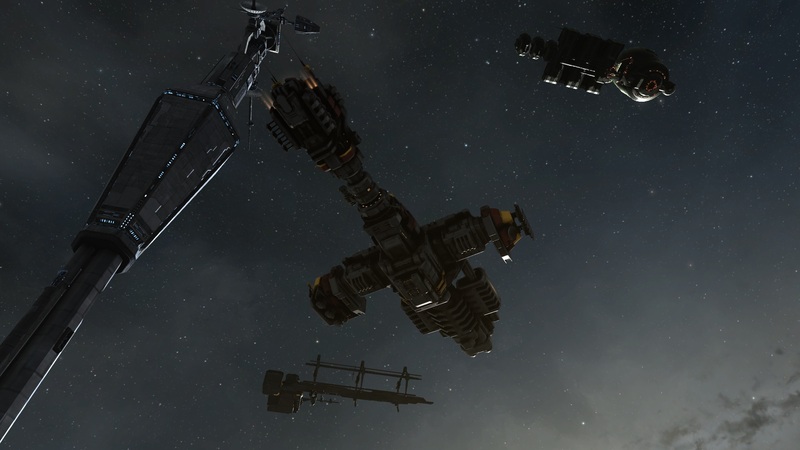 Soon I should be able to invite friends of mine to install a jump clone in the Rorqual so that when needed they can transfer their consciousnesses to one of my waiting Exhumer class Hulk mining barges. The additional skilled pilots in my fleet should prove quite profitable for both the pilots and myself. This is a goal I have wanted to achieve for years. So I finally made it to the broken wormhole system of Thera. Interesting place. Like the wild west. At the moment the Gallente militia seems to have the system under control. 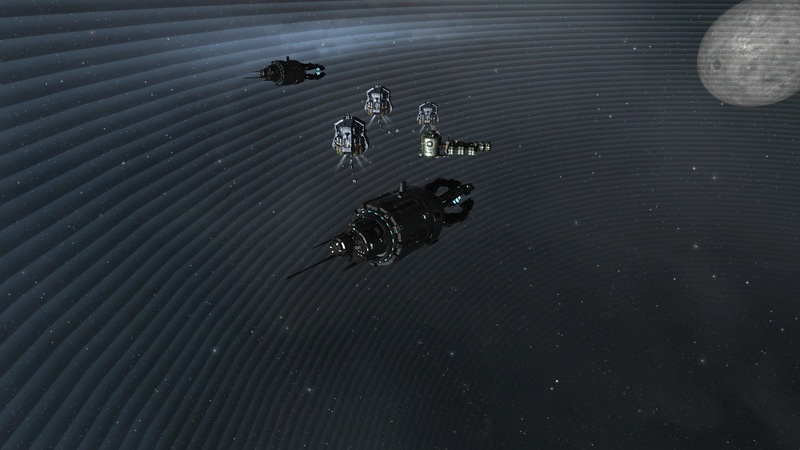 That is not too surprising since there is factional warfare occurring near the wormhole leading to Thera. However if you think being a Gallente citizen will keep you safe, you have another thing coming. In the short time between when I found the wormhole leading to Thera and the time I finally safely docked at one of the 4 stations setup in Thera, I managed to get shot at quite a bit. Only the performance of my covert ops Helios and my experience in flying in null sec space kept me alive to do a little sight seeing. I don’t see being able to make a profitable existence in Thera unless I can be part of the current ruling group of capsuleers. However I expect that to change almost with the time zones. I will give it a few hours to do observations and additional sight seeing as well as getting some pics of the devastation left behind in Thera from the Sleeper experiments. i don’t know what the Sleepers were working on but it did not go well. For now I am heading to the gallery to get some rations and see how moral of the crew is doing during this very stress filled trip. They have been doing an excellent job of keeping the ship running smoothly. I may have to allow them to break out some stores of liquor as a reward once we can safely hide the ship.